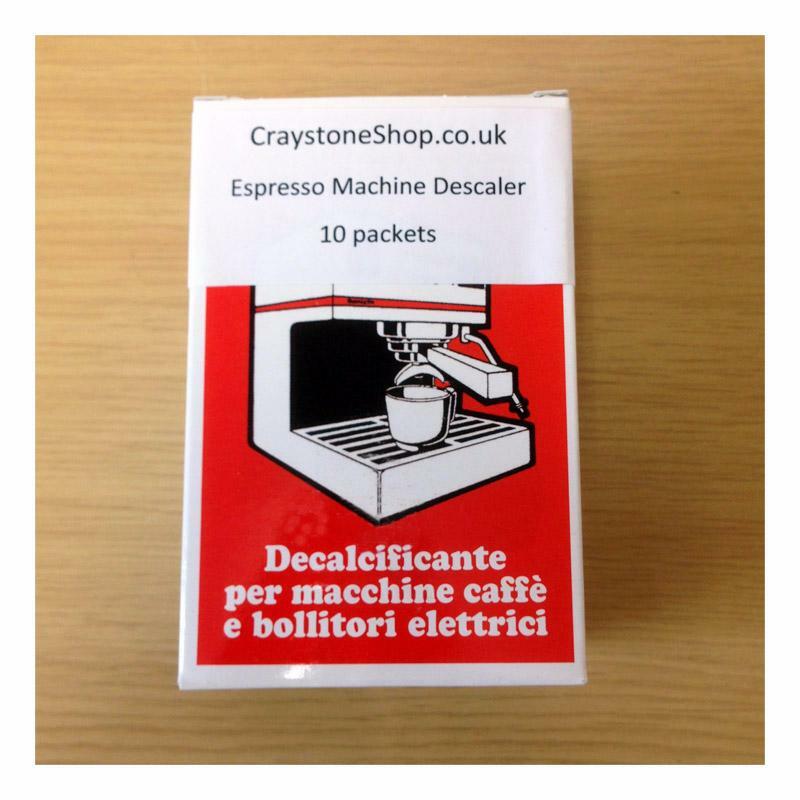 Descaler powder for domestic coffee machines. 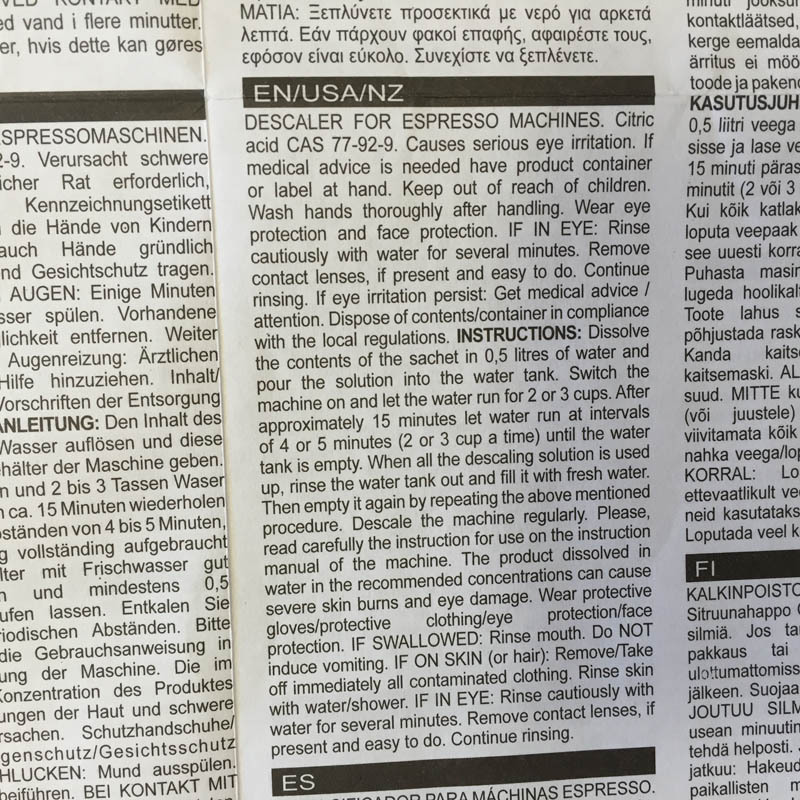 FrancisFrancis/illy state that If you own a new machine and you neglect to descale then problems caused by scale are not covered under your machine warranty. 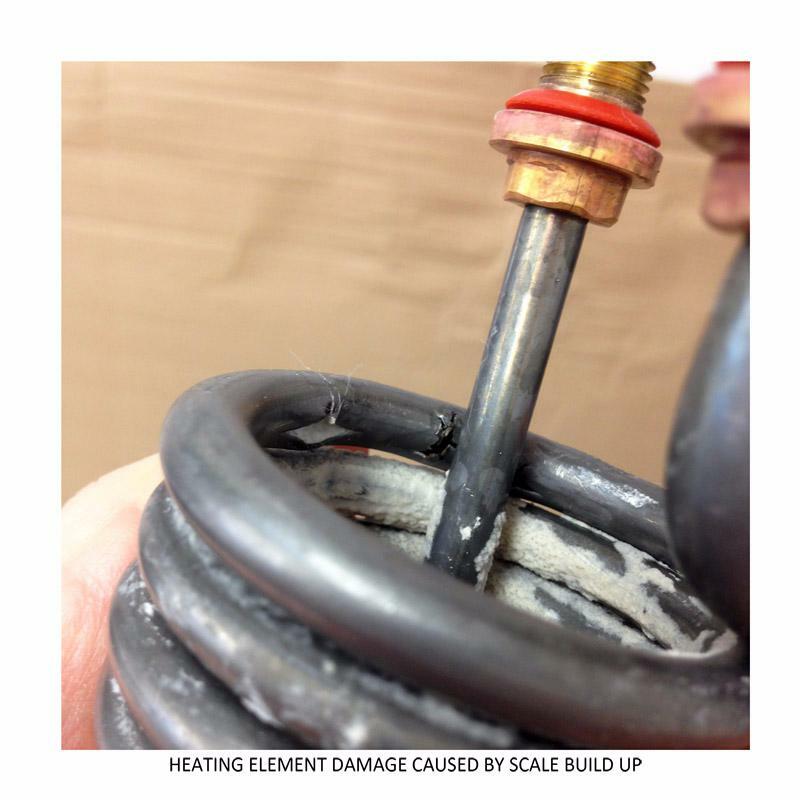 Scale can attack the heating element, the inside of the boiler, the pipes leading from the pump to the boiler, the expansion spring and stopper. 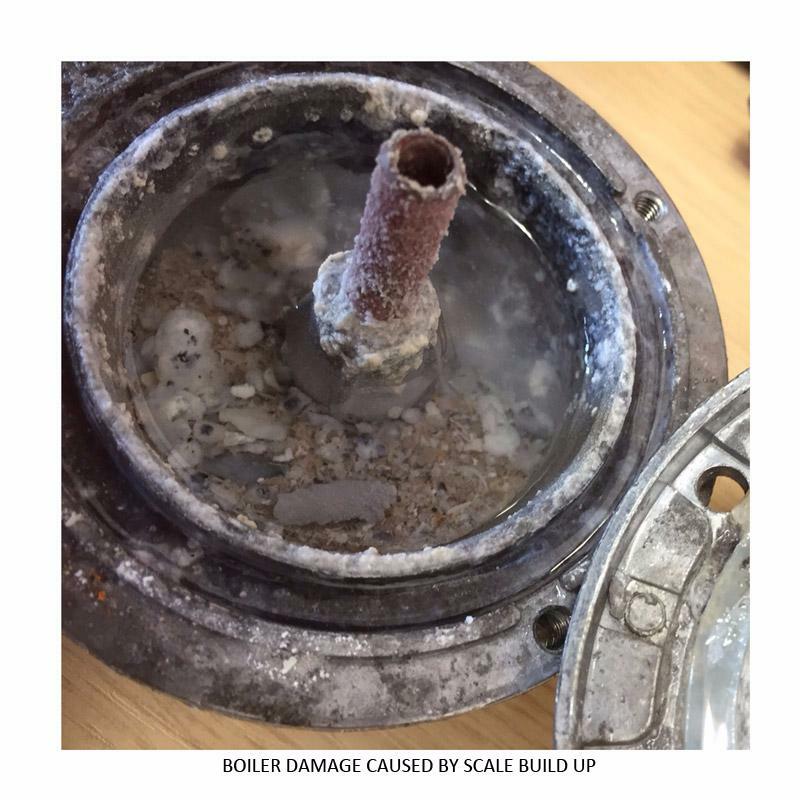 We have seen multiple boilers clogged up with scale, leading to restricted water flow, poor steam pressure and failing heating elements. 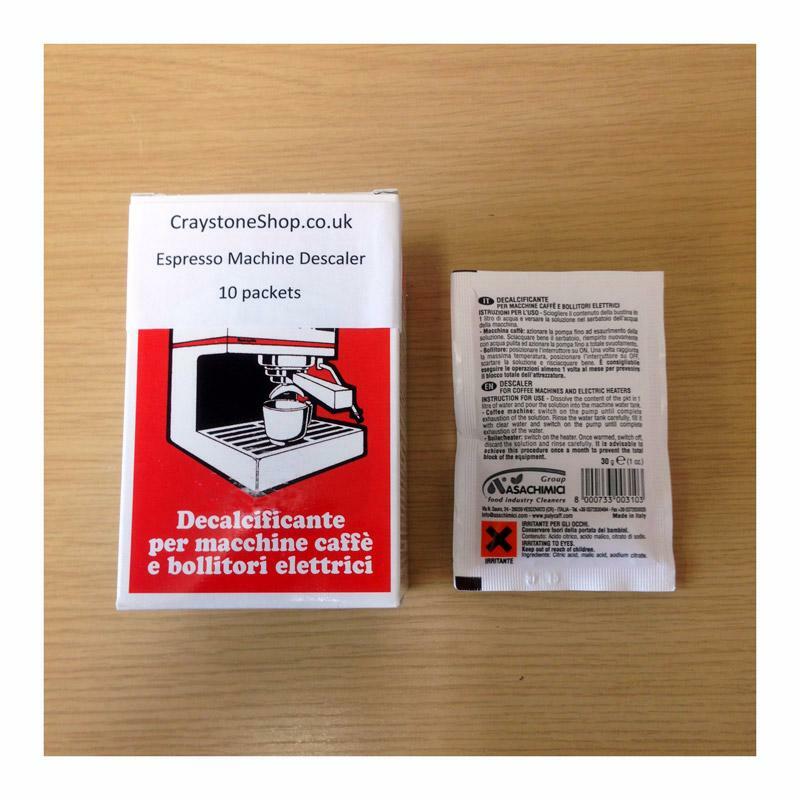 To ensure that you keep your machine in tip-top condition on the inside as well as the outside, we advise to run descaler through your machine on a monthly basis, it's the safest and easiest method to protect your machine and to extend its lifetime. This descaler works on both brass and aluminium boilers. 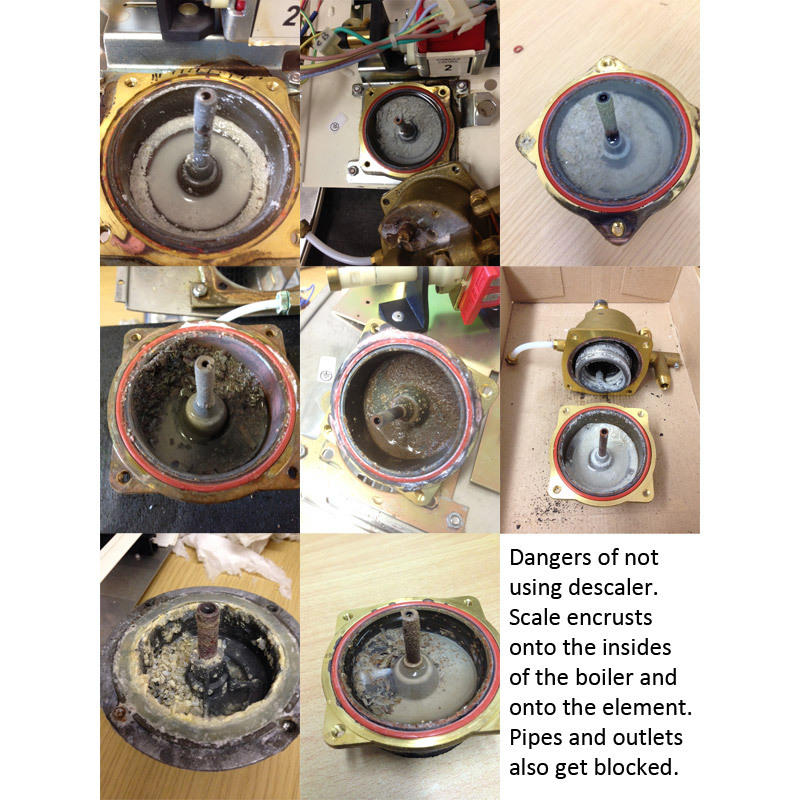 Take care not to leave too long in aluminium boilers (1st gen machines) - no more than 20 minutes. Please note: All descalers are irritants, take care, it's advisable to wear protective gloves when handling. 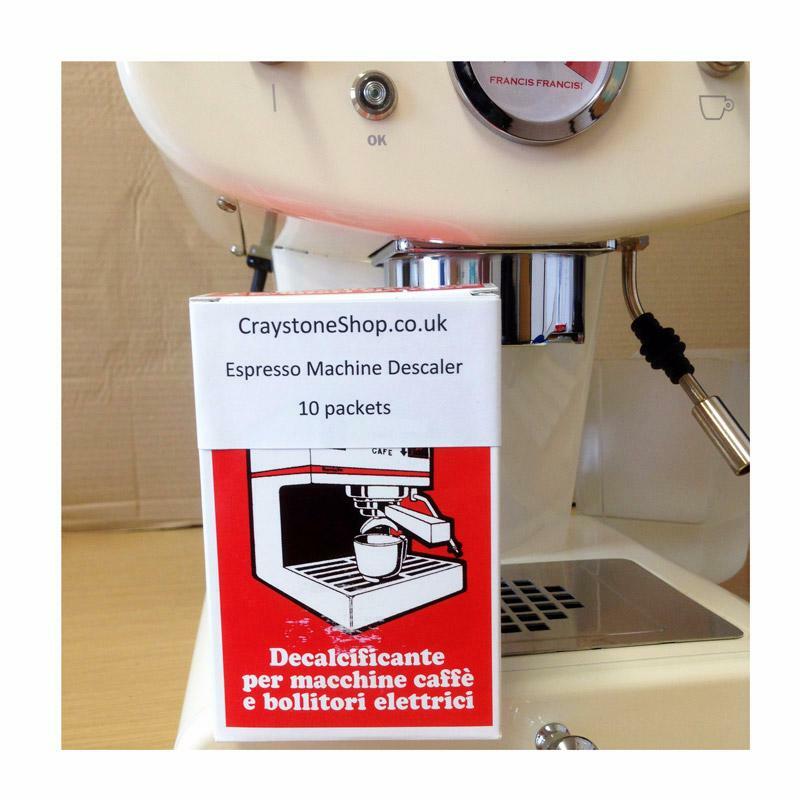 Look after your machine and it will continue to make great coffee for years to come. 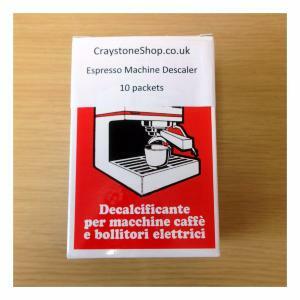 Pack of 10 descaler sachets.